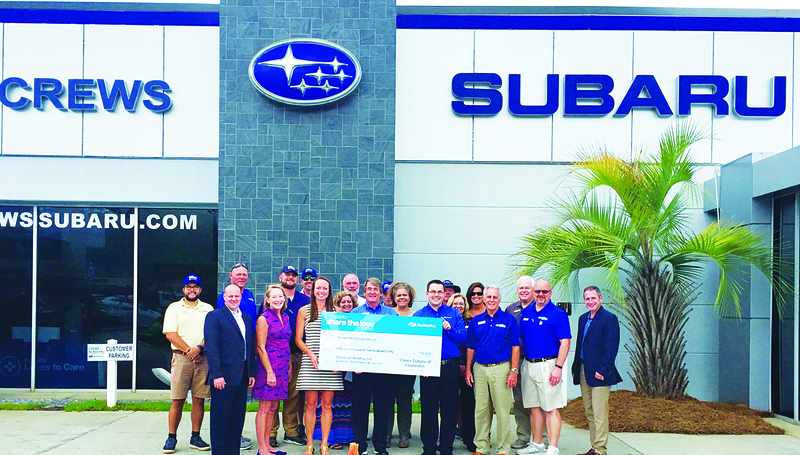 Crews Subaru of Charleston continues to fulfill the Subaru Love Promise with their recent presentation of a check for $54,380 to Ronald McDonald House Charities of Charleston. The funds were generated during the Subaru Share the Love event. The effort is “just part of the local commitment Crews Subaru has made to the Lowcountry,” stated a press release. Shown are members of the Crews Subaru team, surrounding RMHC staff, Subaru zone staff and Robert Crews, president, and HR Hicks, general manager of locally-owned Crews Subaru.